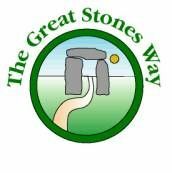 The Great Stones Way is a recent walking route (2014) originated by the Friends of the Ridgeway. The guidebook to the Great Stones Way long-distance route covers the route from Barbury Castle (just south of Swindon) to Old Sarum (just north of Salisbury) through the North Wessex Downs AONB, with extensions to start in Swindon and finish in Salisbury and visit the Avebury Ring, Stonehenge and other prehistoric sites. The core 36-mile route described here in six short stages, suitable for a challenging long weekend or a leisurely week, takes walkers on a journey through our prehistoric past heading south from Barbury Castle to Old Sarum, meandering through a diverse landscape from the open chalk downs with far-reaching views across the Vale of Pewsey and Salisbury Plain to tranquil scenes alongside the River Avon. On the way the route visits picturesque villages with historic churches, chocolate-box thatched cottages and cosy pubs. 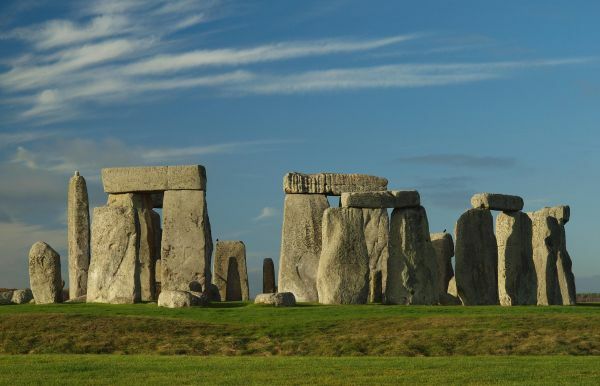 Optional detours clock up an extra 14 miles and take in visits to the renowned prehistoric remains around Avebury and Stonehenge with a final finish at Salisbury's beautiful medieval cathedral. 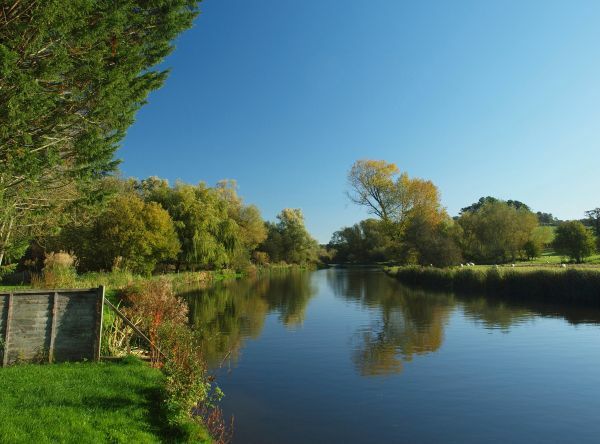 The route shown here includes the start from Coate Water County Park near Swindon to the official start at Barbury Castle (7.5 miles) and the end extension from Old Sarum to Salisbury Catherdral (2.2 miles) making a total distance of some 46 miles. 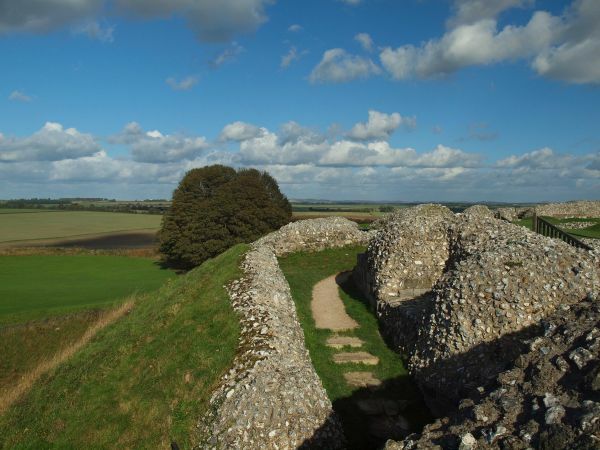 The 'Alternative' routes visiting Avebury, Alton Barnes White Horse, Marden Henge, White Horse Trail and Stonehenge are also shown as path variations to the main route. A separate route stripmap, listed below under Other Maps entitled the Avebury-Stonehenge Walk, is a 26-mile walkers route devised and illustrated by cartographer Nick Hill between these two sites. It is not always the same route in this section as the Great Stones Way or its options/variants, but they overlap. This stripmap includes route-finding tips, mile/km markers along the route, walking conditions underfoot, pub details and points of interest, that also include The Sanctuary, Adam's Grave and Woodhenge. 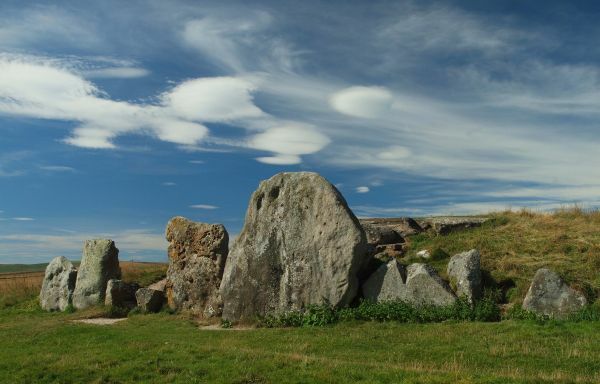 Stonehenge and Avebury became a World Heritage Site (WHS) in 1986 for their outstanding prehistoric monuments which date from 3700 to 1600 BC. At Stonehenge, the unique lintelled stone circle is surrounded by a landscape containing more than 350 burial mounds and major prehistoric monuments such as the Stonehenge Avenue, the Cursus, Woodhenge and Durrington Walls. Stone plinth over two uprights with path name.